Summer adventuring is in full swing! 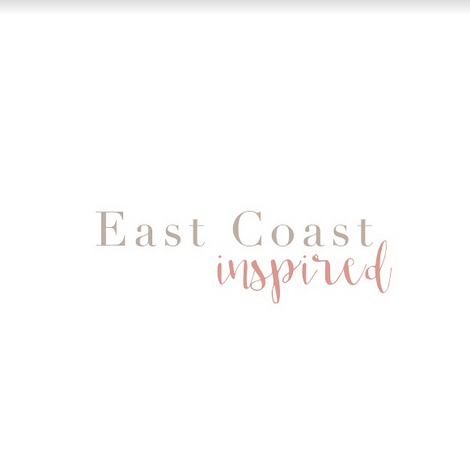 Here at ECI, our days are filled with work, yes, but also trips to the beach, days at the lake, jaunts around Maine’s many islands, and general bopping about (typically with kids in tow). 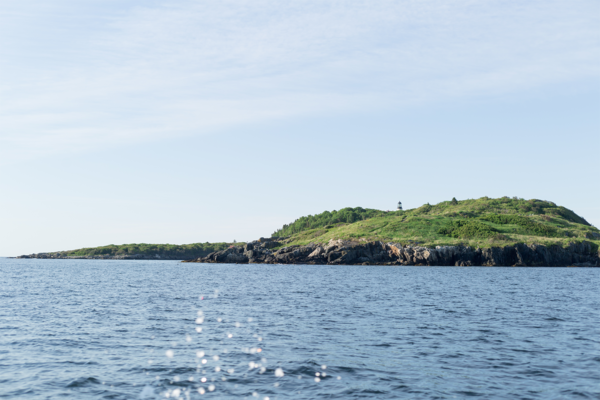 We look for any and every excuse to get outside and enjoy our state to the fullest. Not all trips are planned, and getting out of the house is often hard, so we’ve found it easiest to keep a “go to bag” prepped and ready to… well… go. Through the years we’ve tried more products than we care to admit, and we’d like to take this opportunity to save you a bit of the headache (and the money) in trying out new (often expensive!) essentials. So here a few of our favorite things you can carry that will help carry you through your summer. It’s likely you’ve seen Seabags in a magazine or on a stranger in the street at some point in the last few years, and the rave reviews are well deserved. 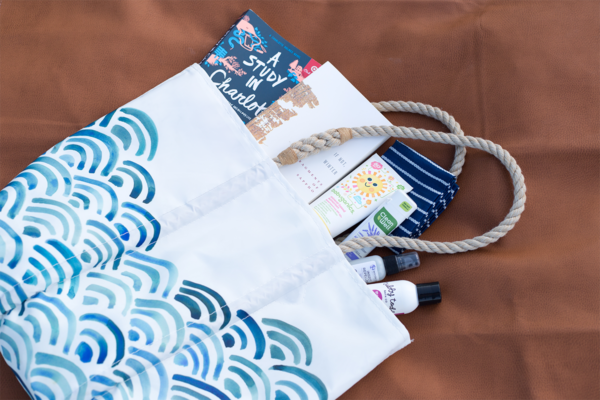 This bag checks all our boxes: Waterproof, washable, locally designed and sustainably produced (from sails that were previously discarded), available in multiple sizes and styles, and best of all numerous fun colorful patterns to choose from. If you still can’t make up your mind, they also offer custom bag design, simply stop in one of their locations or contact their team. We chose the basic medium tote rather than opting for a clip or zip close or additional interior pocket. Fun surprise: there’s a small pocket between the straps that perfectly fits a cell phone and lip gloss, keeping your most necessary items within easy reach. Confession: Amanda owns roughly a dozen of these bags, stashing them in her tote, purse, and car to keep them within easy reach. 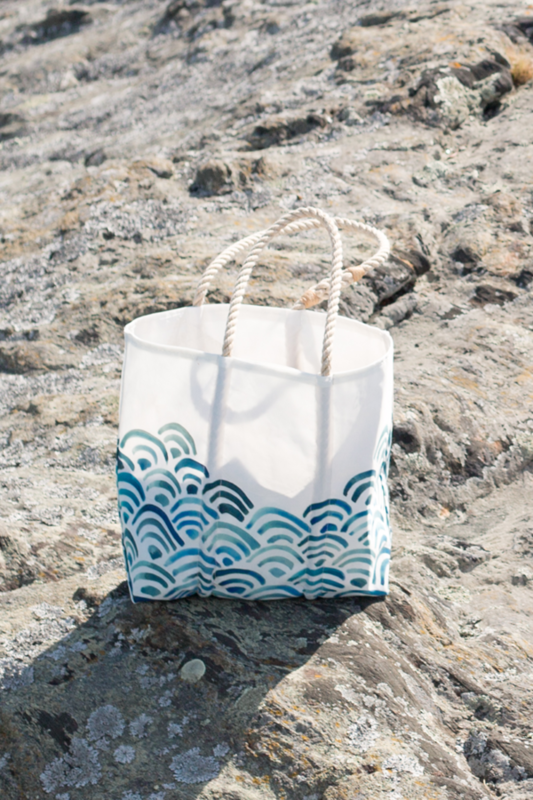 Out of all the reusable bag options, we’ve found BAGGU to offer the best variety of colors and patterns. The wide handles come straight up from each side of the bag and are sturdy enough to carry 20+lbs of groceries or literally ANYTHING you want to tote around. Many of Amanda’s BAGGU bags are at least 8 years old and still going strong. These nylon bags wash easily and dry quickly, and at $10 each they don’t break the bank. Tubby Todd is another of our favorite shop small brands. A California-based company, they are dedicated to creating hypoallergenic bath, skin, and hair products for babies and mamas. All of their products are made in the USA, organic, animal cruelty-free, and use natural plant-based fragrances. The Tubby Todd Everyday Lotion is fragranced with lavender and rosemary and feels simply dreamy. Creamy without feeling greasy or heavy and just the right amount of fragrance, it is one of our favorite everyday products. Really, all of their basics line is a must have if you love lavender and citrus. Amanda began using Tubby Todd lotion and hair and body wash on her daughters about 4 years ago, and it’s her favorite because it combines the right amount of fragrance with organic, sensitive-skin friendly ingredients.They recently expanded their line to include several other must-have products we use daily in our households – but we’ll save that for another day! Wondercide insect repellent was recommended by a friend several years ago as a safe tick repellent (who found it watching Shark Tank), and it is all we carry for bug spray these days. It definitely helps repel mosquitos, and even more importantly it keeps ticks off us and our pets! Spring and Fall can be cool and damp here in Maine, encouraging tick growth. Amanda doesn’t allow her daughters to play outside during those seasons without a head-to-toe spritz, dropping the frequency of ticks found on them to basically none (she hesitates to say she’s NEVER found one on them when using the spray, but can’t recall an instance when she has found one after application). DEET free, they use no artificial fragrances, preservatives, or synthetic pesticides. For only $4.99 (plus shipping) you can try out their top 3 fragrances while you decide for yourself if its your new favorite bug spray, or if you spend lots of time walking through tick-infested areas you can go all in, like Amanda, and buy the 32oz Flea, Tick, and Mosquito control spray for use on your entire family, human and furry alike! This large bottle has lasted a whole year with seasonal daily all-over application. Sunscreen or sunblock?! With so many choices on the market and so many conflicting messages about what is right, it’s difficult to know where to turn! The basic difference between these two terms is pretty straight forward: sunscreens use chemicals to absorb UV rays so they don’t penetrate the skin, whereas sunblocks use minerals, such as titanium dioxide or zinc oxide, to physically deflect rays from the skin. This distinction is rather subtle, and they’re often used interchangeably, so it can be quite confusing. As with most things in this life, there’s quite the controversy over which is actually better for you and your family, but ultimately I’m a fan of utilizing natural products over synthetic ones whenever possible. 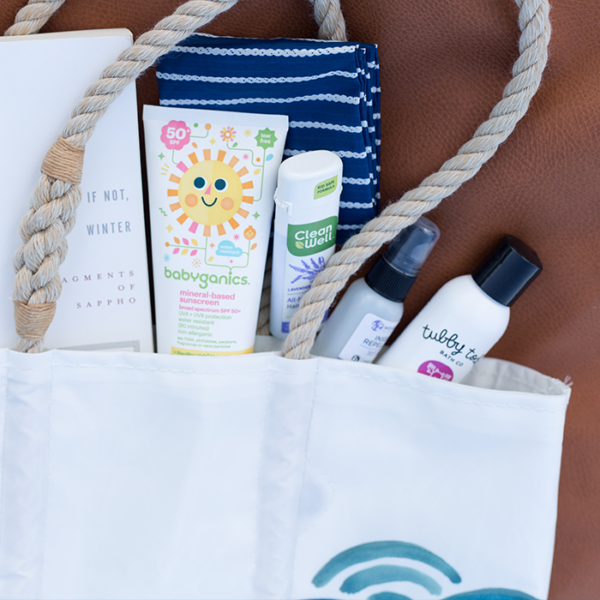 Our favorite is the BabyGanics Mineral-Based Sunscreen Spray SPF 50+. It’s water resistant for 80 minutes and SPF 50+, this kid-friendly sunblock is great for long days at the beach or pool. It contains no PABA, parabens, or phthalates. It offers broad spectrum UVA/UVB protection and in spite of being a mineral-based sunscreen is still easy to apply. All mineral sunscreens require a little bit of extra rubbing, but in our opinion the coverage and ingredient list make this effort worthwhile! If you haven’t thought much beyond the spf and the smell of your sunscreen or block, we recommend looking up your favorite product on the Environmental Working Group site! We have never been a big fan of the alcohol-based sanitizers, so we were excited to discover Clean Well All-Natural hand sanitizer. Clean Well’s sanitizers use thyme to kill germs rather than alcohol. Gentle on skin, this botanical formula won’t sting cuts and is free of harsh chemicals, making it biodegradable and kid-safe. The 4” tall, 1oz bottle contains 225+ “sprays” so it lasts far longer than you’d expect from something of its size, not to mention its alcohol-gel based counterparts. We find 2 or 3 sprays per use is plenty, and the herbal fragrance is reminiscent of brands like Mrs Meyers. The FujiFilm Instax mini 8 is that camera you might have seen at one of your friend’s weddings: the modern-day replacement for cardboard disposable film cameras at wedding events, this camera’s polaroid-like qualities and clean shape give it far more appeal. Fuji recently replaced this model with the new Instax mini 9, which has a little selfie mirror on the front of the lens and a new macro lens adaptor for better close-ups. At under $60, if you want an instant film camera with the retro polaroid feel, this is a great option compared to a full size Polaroid Camera at twice the price. They come in several fun colors and at about $12 for 20 sheets the film packs cost about what you’d expect from an instant film. Instant film has such a vintage, sentimental appeal, and in this world of camera phones and less printed images, it is a really fun change to make one of a kind prints with your friends or children that everyone can take home. Merilee and Jessica, the creators of Gathre, make beautiful Bonded leather mats that are perfect for basically anything! We love their company and its ideals: to gather goodness and carry it with you everywhere. They created their mats with both ease and heirloom quality in mind. 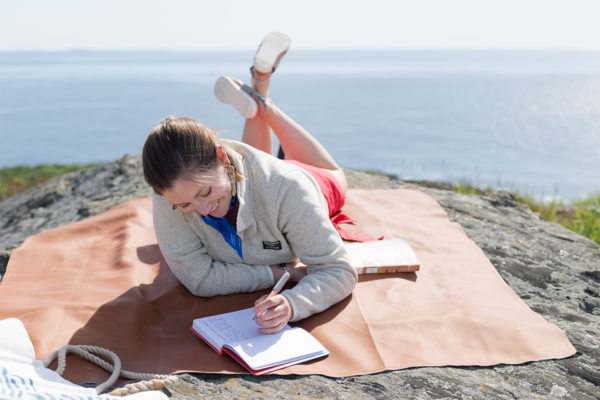 At $70 for a midi sized mat, they might seem like a bit of a luxury; but, simply bring this mat to the beach rather than a large blanket or towel and when the sand just slides and wipes quickly off you’ll immediately understand how easily they become a necessity. In our bag is the 54×54 Midi mat in Ginger, a great size for a couple friends to share a picnic, a few kids to lay on at the beach, or one adult to sprawl out and daydream. These mats are super easy to clean with a damp cloth or wet wipe, and if they get wet on both sides you can simply hang it out to dry in the sun or on a drying rack in your laundry room. Gathre’s mats come in a beautiful range of colors and patterns, not to mention 7 sizes, from changing pad to table cloth. With such easy care, they are the perfect addition to any day trip bag.